What we're learning from Quebec is that just as some early education programs can improve on non-cognitive skills, others can do the opposite. As my children aged my interest in the politics of childcare waned, but there's a couple of terrific articles out due to a U.S. study focused on Quebec's experience with cheap universal child care. With Canada in the midst of an election campaign which interventionist Ontario Premier Wynne has pushed into, I'll note issues in Iglesias' column are also relevant to universal all-day kindergarten in Ontario. Programs for young children — whether you call them day care or preschool or even third grade — serve two purposes. On the one hand, they are educational settings that are supposed to help foster the kids' long-term development. On the other hand, they are safe places where parents can put their children so they can go do other things during the day — things like work for a living. In an ideal world, of course, they do both. The best preschool programs have been shown to have significant lifelong benefits for their students, and they're doubtless a huge help to parents too. 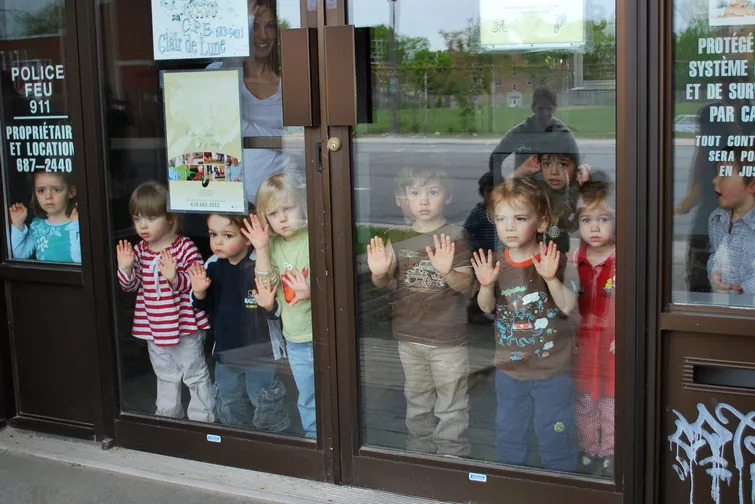 But a sobering new analysis by Michael Baker, Jonathan Gruber (yes, that Jonathan Gruber), and Kevin Milligan of Quebec's effort to expand access to child care on the cheap is a painful reminder that the two issues can come apart. The program was designed to increase mothers' labor force participation rate, and it worked. Lots of people used the system, lots of moms went to work, incomes and GDP rose, and the program was quite affordable to the taxpayer. Kids' test scores stayed flat. But contrasting trends in Quebec kids with kids from other Canadian provinces, the authors find "a significant worsening in self-reported health and in life satisfaction among teens" who grew up exposed to the program* along with a "sharp and contemporaneous increase in criminal behavior among the cohorts exposed to the Quebec program, relative to their peers in other provinces." the Quebec day care program was not some kind of catastrophically mismanaged failure. Lots of people used it, the number of high-quality day care slots rose, and — as intended — it encouraged more mothers to work. ... it turns out that low-quality child care isn't just worse than high-quality child care. It's worse than no child care. ...the idea that it's better for a cash-strapped parent of a young child to put the kid in a bottom-end day care program and work a low-wage job than to get financial support from the government to stay home with the kid. And it's certainly true that this kind of work-promotion strategy is better for economic growth. Both the low-wage job and the low-end day care center count as part of GDP for the purpose of measuring "the economy," whereas the labor done by full-time parents and homemakers does not. But from a social welfare perspective, the relevant issue isn't whether child care is performed as market- or non-market labor — it's whether it's performed well. Iglesias' "research into simple cash handouts to poor families pretty consistently shows positive impacts on children and family life" is picked up on by Laura Bliss writing in the Atlantic. ... a 2013 article in the Atlantic made the case that if the federal government wrote an annual $3,000 check to every American—adults and children, rich and poor—we could cut poverty rates in half. Another NBER working paper released this month addresses a different approach to improving life outcomes for kids that’s gaining much more traction among state and federal policymakers: Universal childcare. Its findings actually make a universal basic income seem even more appealing. ...maybe we should be more careful about what it means for society to invest in children. Research shows that, at least in the short-term, high-quality pre-K and daycare programs are good for young kids. They’re especially good for disadvantaged children, when they’re targeted to them. But when the quality of care suffers, it’s only logical that the kids do, too. Personally and politically, I have been interested in the basic personal income concept for some time. The concept, perhaps better described to some as a reverse income tax, would eliminate giving money to all people while empowering lower income households. I don't intend on writing much, if anything, on the current election but I will say I think childcare policy should be about children, and I think economies should be about productivity - and I wouldn't measure that by labour force participation.